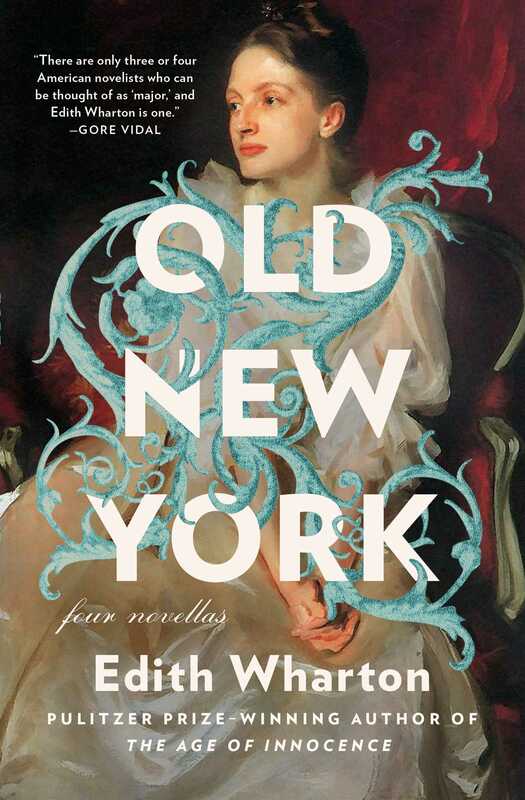 The four short novels in this collection by the author of The Age of Innocence are set in the New York of the 1840s, '50s, '60s, and '70s, each one revealing the tribal codes and customs that ruled society, portrayed with the keen style that is uniquely Edith Wharton's. Originally published in 1924 and long out of print, these tales are vintage Wharton, dealing boldly with such themes as infidelity, illegitimacy, jealousy, the class system, and the condition of women in society. Included in this remarkable quartet are False Dawn, which concerns the stormy relationship between a domineering father and his son; The Old Maid, the best known of the four, in which a young woman's secret illegitimate child is adopted by her best friend -- with devastating results; The Spark, about a young man's moral rehabilitation, which is "sparked" by a chance encounter with Walt Whitman; and New Year's Day, an O. Henryesque tale of a married woman suspected of adultery. Old New York is Wharton at her finest. Hay, verbena and mignonette scented the languid July day. Large strawberries, crimsoning through sprigs of mint, floated in a bowl of pale yellow cup on the verandah table: an old Georgian bowl, with complex reflections on polygonal flanks, engraved with the Raycie arms between lion's heads. Now and again the gentlemen, warned by a menacing hum, slapped their cheeks, their brows or their bald crowns; but they did so as furtively as possible, for Mr. Halston Raycie, on whose verandah they sat, would not admit that there were mosquitoes at High Point. The strawberries came from Mr. Raycie's kitchen garden; the Georgian bowl came from his great-grandfather (father of the Signer); the verandah was that of his country-house, which stood on a height above the Sound, at a convenient driving distance from his town house in Canal Street. "Another glass, Commodore," said Mr. Raycie, shaking out a cambric handkerchief the size of a table-cloth, and applying a corner of it to his steaming brow. Mr. Jameson Ledgely smiled and took another glass. He was known as "the Commodore" among his intimates because of having been in the Navy in his youth, and having taken part, as a midshipman under Admiral Porter, in the war of 1812. This jolly sunburnt bachelor, whose face resembled that of one of the bronze idols he might have brought back with him, had kept his naval air, though long retired from the service; and his white duck trousers, his gold-braided cap and shining teeth, still made him look as if he might be in command of a frigate. Instead of that, he had just sailed over a party of friends from his own place on the Long Island shore; and his trim white sloop was now lying in the bay below the point. The Halston Raycie house overlooked a lawn sloping to the Sound. The lawn was Mr. Raycie's pride: it was mown with a scythe once a fortnight, and rolled in the spring by an old white horse specially shod for the purpose. Below the verandah the turf was broken by three rounds of rose-geranium, heliotrope and Bengal roses, which Mrs. Raycie tended in gauntlet gloves, under a small hinged sunshade that folded back on its carved ivory handle. The house, remodelled and enlarged by Mr. Raycie on his marriage, had played a part in the Revolutionary war as the settler's cottage where Benedict Arnold had had his headquarters. A contemporary print of it hung in Mr. Raycie's study; but no one could have detected the humble outline of the old house in the majestic stone-coloured dwelling built of tongued-and-grooved boards, with an angle tower, tall narrow windows, and a verandah on chamfered posts, that figured so confidently as a "Tuscan Villa" in Downing's "Landscape Gardening in America." There was the same difference between the rude lithograph of the earlier house and the fine steel en-graving of its successor (with a "specimen" weeping beech on the lawn) as between the buildings themselves. Mr. Raycie had reason to think well of his architect. He thought well of most things related to himself by ties of blood or interest. No one had ever been quite sure that he made Mrs. Raycie happy, but he was known to have the highest opinion of her. So it was with his daughters, Sarah Anne and Mary Adeline, fresher replicas of the lymphatic Mrs. Raycie; no one would have sworn that they were quite at ease with their genial parent, yet every one knew how loud he was in their praises. But the most remarkable object within the range of Mr. Raycie's self-approval was his son Lewis. And yet, as Jameson Ledgely, who was given to speaking his mind, had once observed, you wouldn't have supposed young Lewis was exactly the kind of craft Halston would have turned out if he'd had the designing of his son and heir. Mr. Raycie was a monumental man. His extent in height, width and thickness was so nearly the same that whichever way he was turned one had an almost equally broad view of him; and every inch of that mighty circumference was so exquisitely cared for that to a farmer's eye he might have suggested a great agricultural estate of which not an acre is untilled. Even his baldness, which was in proportion to the rest, looked as if it received a special daily polish; and on a hot day his whole person was like some wonderful example of the costliest irrigation. There was so much of him, and he had so many planes, that it was fascinating to watch each runnel of moisture follow its own particular watershed. Even on his large fresh-looking hands the drops divided, trickling in different ways from the ridges of the fingers; and as for his forehead and temples, and the raised cushion of cheek beneath each of his lower lids, every one of these slopes had its own particular stream, its hollow pools and sudden cataracts; and the sight was never unpleasant, because his whole vast bubbling surface was of such a clean and hearty pink, and the exuding moisture so perceptibly flavoured with expensive eau de Cologne and the best French soap. Mrs. Raycie, though built on a less heroic scale, had a pale amplitude which, when she put on her best watered silk (the kind that stood alone), and framed her countenance in the innumerable blonde lace ruffles and clustered purple grapes of her newest Paris cap, almost balanced her husband's bulk. Yet from this full-rigged pair, as the Commodore would have put it, had issued the lean little runt of a Lewis, a shrimp of a baby, a shaver of a boy, and now a youth as scant as an ordinary man's midday shadow. All these things, Lewis himself mused, dangling his legs from the verandah rail, were undoubtedly passing through the minds of the four gentlemen grouped about his father's bowl of cup. Mr. Robert Huzzard, the banker, a tall broad man, who looked big in any company but Mr. Raycie's, leaned back, lifted his glass, and bowed to Lewis. "Here's to the Grand Tour!" "Don't perch on that rail like a sparrow, my boy," Mr. Raycie said reprovingly; and Lewis dropped to his feet, and returned Mr. Huzzard's bow. "I wasn't thinking," he stammered. It was his too frequent excuse. Mr. Ambrose Huzzard, the banker's younger brother, Mr. Ledgely and Mr. Donaldson Kent, all raised their glasses and cheerily echoed: "The Grand Tour!" Lewis bowed again, and put his lips to the glass he had forgotten. In reality, he had eyes only for Mr. Donaldson Kent, his father's cousin, a silent man with a lean hawk-like profile, who looked like a retired Revolutionary hero, and lived in daily fear of the most trifling risk or responsibility. To this prudent and circumspect citizen had come, some years earlier, the unexpected and altogether inexcusable demand that he should look after the daughter of his only brother, Julius Kent. Julius had died in Italy -- well, that was his own business, if he chose to live there. But to let his wife die before him, and to leave a minor daughter, and a will entrusting her to the guardianship of his esteemed elder brother, Donaldson Kent Esquire, of Kent's Point, Long Island, and Great Jones Street, New York -- well, as Mr. Kent himself said, and as his wife said for him, there had never been anything, anything whatever, in Mr. Kent's attitude or behaviour, to justify the ungrateful Julius (whose debts he had more than once paid) in laying on him this final burden. The girl came. She was fourteen, she was considered plain, she was small and black and skinny. Her name was Beatrice, which was bad enough, and made worse by the fact that it had been shortened by ignorant foreigners to Treeshy. But she was eager, serviceable and good-tempered, and as Mr. and Mrs. Kent's friends pointed out, her plainness made everything easy. There were two Kent boys growing up, Bill and Donald; and if this penniless cousin had been compounded of cream and roses -- well, she would have taken more watching, and might have rewarded the kindness of her uncle and aunt by some act of wicked ingratitude. But this risk being obviated by her appearance, they could be goodnatured to her without afterthought, and to be goodnatured was natural to them. So, as the years passed, she gradually became the guardian of her guardians; since it was equally natural to Mr. and Mrs. Kent to throw themselves in helpless reliance on every one whom they did not nervously fear or mistrust. "Yes, he's off on Monday," Mr. Raycie said, nodding sharply at Lewis, who had set down his glass after one sip. "Empty it, you shirk!" the nod commanded; and Lewis, throwing back his head, gulped down the draught, though it almost stuck in his lean throat. He had already had to take two glasses, and even this scant conviviality was too much for him, and likely to result in a mood of excited volubility, followed by a morose evening and a head the next morning. And he wanted to keep his mind clear that day, and to think steadily and lucidly of Treeshy Kent. The thought of going to Italy with Treeshy was only a dream; but later, as man and wife, they would return there, and by that time, perhaps, it was Lewis who would be her guide, and reveal to her the historic marvels of her birthplace, of which after all she knew so little, except in minor domestic ways that were quaint but unimportant. The gentlemen were telling anecdotes about their own early experience in Europe. None of them -- not even Mr. Raycie -- had travelled as extensively as it was intended that Lewis should; but the two Huzzards had been twice to England on banking matters, and Commodore Ledgely, a bold man, to France and Belgium as well -- not to speak of his early experience in the Far East. All three had kept a vivid and amused recollection, slightly tinged with disapprobation, of what they had seen -- "Oh, those French wenches," the Commodore chuckled through his white teeth -- but poor Mr. Kent, who had gone abroad on his honeymoon, had been caught in Paris by the revolution of 1830, had had the fever in Florence, and had nearly been arrested as a spy in Vienna; and the only satisfactory episode in this disastrous, and never repeated, adventure, had been the fact of his having been mistaken for the Duke of Wellington (as he was trying to slip out of a Viennese hotel in his courier's blue surtout) by a crowd who had been -- "Well, very gratifying in their enthusiasm," Mr. Kent admitted. "How my poor brother Julius could have lived in Europe! Well, look at the consequences --" he used to say, as if poor Treeshy's plainness gave an awful point to his moral. "There's one thing in Paris, my boy, that you must be warned against: those gambling-hells in the Pally Royle," Mr. Kent insisted. "I never set foot in the places myself; but a glance at the outside was enough." "I knew a feller that was fleeced of a fortune there," Mr. Henry Huzzard confirmed; while the Commodore, at his tenth glass, chuckled with moist eyes: "The trollops, oh, the trollops --"
"As for Vienna --" said Mr. Kent. "Even in London," said Mr. Ambrose Huzzard, "a young man must be on his look-out against gamblers. Every form of swindling is practised, and the touts are always on the look-out for greenhorns; a term," he added apologetically, "which they apply to any traveller new to the country." "In Paris," said Mr. Kent, "I was once within an ace of being challenged to fight a duel." He fetched a sigh of horror and relief, and glanced reassuredly down the Sound in the direction of his own peaceful roof-tree. "Oh, a duel," laughed the Commodore. "A man can fight duels here. I fought a dozen when I was a young feller in New Erleens." The Commodore's mother had been a southern lady, and after his father's death had spent some years with her parents in Louisiana, so that her son's varied experiences had begun early. "'Bout women," he smiled confidentially, holding out his empty glass to Mr. Raycie. "The ladies --!" exclaimed Mr. Kent in a voice of warning. The gentlemen rose to their feet, the Commodore quite as prompt and steadily as the others. The drawing-room window opened, and from it emerged Mrs. Raycie, in a ruffled sarsenet dress and Point de Paris cap, followed by her two daughters in starched organdy with pink spencers. Mr. Raycie looked with proud approval at his womenkind. "Gentlemen," said Mrs. Raycie, in a perfectly even voice, "supper is on the table, and if you will do Mr. Raycie and myself the favour --"
"The favour, ma'am," said Mr. Ambrose Huzzard, "is on your side, in so amiably inviting us." Mrs. Raycie curtsied, the gentlemen bowed, and Mr. Raycie said: "Your arm to Mrs. Raycie, Huzzard. This little farewell party is a family affair, and the other gentlemen must content themselves with my two daughters. Sarah Anne, Mary Adeline --"
The Commodore and Mr. John Huzzard advanced ceremoniously toward the two girls, and Mr. Kent, being a cousin, closed the procession between Mr. Raycie and Lewis. Oh, that supper-table! The vision of it used sometimes to rise before Lewis Raycie's eyes in outlandish foreign places; for though not a large or fastidious eater when he was at home, he was afterward, in lands of chestnut-flour and garlic and queer bearded sea-things, to suffer many pangs of hunger at the thought of that opulent board. In the centre stood the Raycie épergne of pierced silver, holding aloft a bunch of June roses surrounded by dangling baskets of sugared almonds and striped peppermints; and grouped about this decorative "motif" were Lowestoft platters heavy with piles of raspberries, strawberries and the first Delaware peaches. An outer flanking of heaped-up cookies, crullers, strawberry short-cake, piping hot corn-bread and deep golden butter in moist blocks still bedewed from the muslin swathings of the dairy, led the eye to the Virginia ham in front of Mr. Raycie, and the twin dishes of scrambled eggs on toast and broiled blue-fish over which his wife presided. Lewis could never afterward fit into this intricate pattern the "side-dishes" of devilled turkeylegs and creamed chicken hash, the sliced cucumbers and tomatoes, the heavy silver jugs of butter-coloured cream, the floating-island, "slips" and lemon jellies that were somehow interwoven with the solider elements of the design; but they were all there, either together or successively, and so were the towering piles of waffles reeling on their foundations, and the slender silver jugs of maple syrup perpetually escorting them about the table as black Dinah replenished the supply. They ate -- oh, how they all ate! -- though the ladies were supposed only to nibble; but the good things on Lewis's plate remained untouched until, ever and again, an admonishing glance from Mr. Raycie, or an entreating one from Mary Adeline, made him insert a languid fork into the heap. And all the while Mr. Raycie continued to hold forth. "A young man, in my opinion, before setting up for himself, must see the world; form his taste; fortify his judgment. He must study the most famous monuments, examine the organization of foreign societies, and the habits and customs of those older civilizations whose yoke it has been our glory to cast off. Though he may see in them much to deplore and to reprove --" ("Some of the gals, though," Commodore Ledgely was heard to interject) -- "much that will make him give thanks for the privilege of having been born and brought up under our own Free Institutions, yet I believe he will also" -- Mr. Raycie conceded it with magnanimity -- "be able to learn much." "The Sundays, though," Mr. Kent hazarded warningly; and Mrs. Raycie breathed across to her son: "Ah, that's what I say!" Mr. Raycie did not like interruption; and he met it by growing visibly larger. His huge bulk hung a moment, like an avalanche, above the silence which followed Mr. Kent's interjection and Mrs. Raycie's murmur; then he crashed down on both. "The Sundays -- the Sundays? Well, what of the Sundays? What is there to frighten a good Episcopalian in what we call the Continental Sunday? I presume that we're all Churchmen here, eh? No puling Methodists or atheistical Unitarians at my table tonight, that I'm aware of. Nor will I offend the ladies of my household by assuming that they have secretly lent an ear to the Baptist ranter in the chapel at the foot of our lane. No? I thought not! Well, then, I say, what's all this flutter about the Papists? Far be it from me to approve of their heathenish doctrines -- but, damn it, they go to church, don't they? And they have a real service as we do, don't they? And real clergy and not a lot of nondescripts dressed like laymen, and damned badly at that, who chat familiarly with the Almighty in their own vulgar lingo? No, sir" -- he swung about on the shrinking Mr. Kent -- "it's not the Church I'm afraid of in foreign countries, it's the sewers, sir!" Mrs. Raycie had grown very pale: Lewis knew that she too was deeply perturbed about the sewers. "And the night-air," she scarce-audibly sighed. But Mr. Raycie had taken up his main theme again. "In my opinion, if a young man travels at all, he must travel as extensively as his -- er -- means permit; must see as much of the world as he can. Those are my son's sailing orders, Commodore; and here's to his carrying them out to the best of his powers!" Black Dinah, removing the Virginia ham, or rather such of its bony structure as alone remained on the dish, had managed to make room for a bowl of punch from which Mr. Raycie poured deep ladlefuls of perfumed fire into the glasses ranged before him on a silver tray. The gentlemen rose, the ladies smiled and wept, and Lewis's health and the success of the Grand Tour were toasted with an eloquence which caused Mrs. Raycie, with a hasty nod to her daughters, and a covering rustle of starched flounces, to shepherd them softly from the room. "After all," Lewis heard her murmur to them on the threshold, "your father's using such language shows that he's in the best of humour with dear Lewis." Copyright &copy; 1924 by D. Appleton &amp; Co.